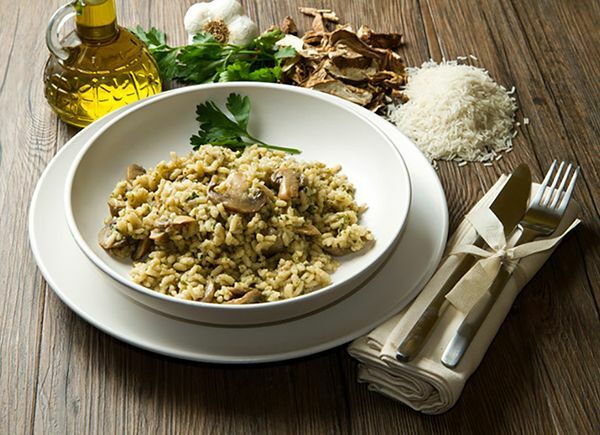 Brad loves his pressure cooker…and we all love it when he makes this amazing Mushroom Risotto. It rivals any traditionally hand-stirred risotto in flavor and texture, and is so, so simple! He’s been making this for years, and can’t recall the source, but you can be assured it is tried and true. And did we mention not stirring and in only 7 minutes? Also, for a vegetarian version, just use vegetable stock instead of chicken stock. • In a presssure cooker, heat 4tbs Olive oil and 2 Tbs Butter. • Add portabella and rice. Stir until rice is coated with oil. • Cover and cook under high pressure for 7 minutes. • Release pressure and add remaining 2 TBS of butter. Stir in Parmesan cheese and serve.